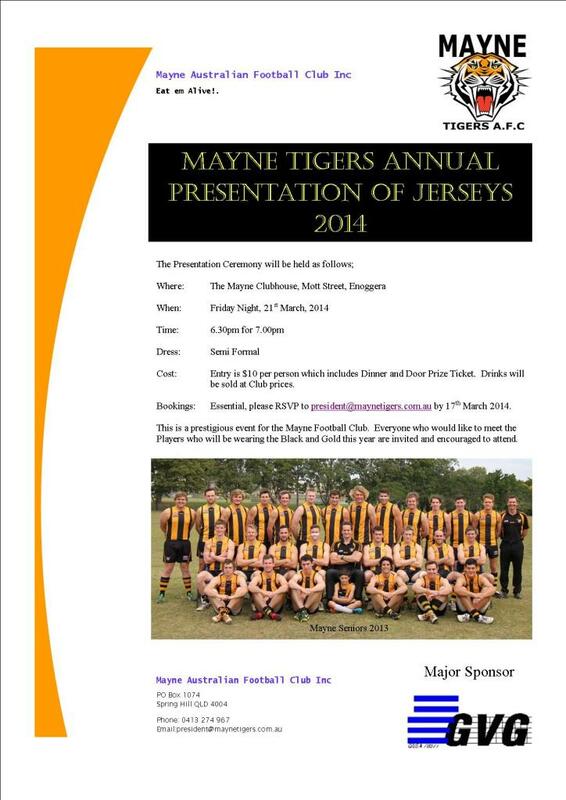 The Club will proudly present Jerseys to the players that will represent the Mayne Tigers in 2014 in all three grades, Seniors, Reserves and Colts. 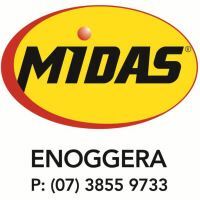 Cost: Entry is $10 per person which includes Dinner and Door Prize Ticket. Drinks at Club prices. 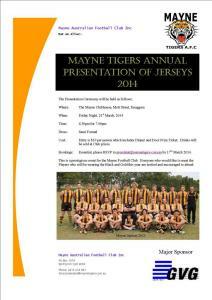 Bookings: Essential, please RSVP to president@maynetigers.com.au by 17th March 2014. This is a prestigious event for the Mayne Football Club. Everyone who would like to meet the Players who will be wearing the Black and Gold this year are invited and encouraged to attend.